"One type of immunotherapy called immune checkpoint inhibitors is a form of cancer treatment that prevents the interaction between the immune system's T-cells and the tumors. When tumors and T-cells interact, a protein found in the tumor called the Programmed Death-Ligand 1 (PD-L1) deactivates T-cells so they become incapable of recognizing and destroying cancer cells. Through immunotheraphy, this interaction is blocked so that T-cells can detect and ward off cancer cells." Cancer is such a scary disease for me, anyway. My mother had breast cancer when she was about to turn 60 years old and during that time, the only recommended cure was to remove the breast and go on a series of chemotherapy that made her skin turn dark and she also lost her hair. An uncle was also diagnosed with colon cancer. He opted for Cryotherapy after a part of his colon was removed. Then a cousin, who doesn't even drink and smoke was diagnosed with late stage of lung cancer. His doctor explained that even if a person refrains from drinking and smoking, he doesn't control his environment. This is true in my cousin's case since most of his peers are smokers. My cousin opted for chemotheraphy also but this time around, and also because new medicines are being discovered, the effect of the chemotherapy on him was really different from what my mother experienced. His hair didn't fall off and he didn't suffer from nausea and vomiting. He did however had rashes on his face. 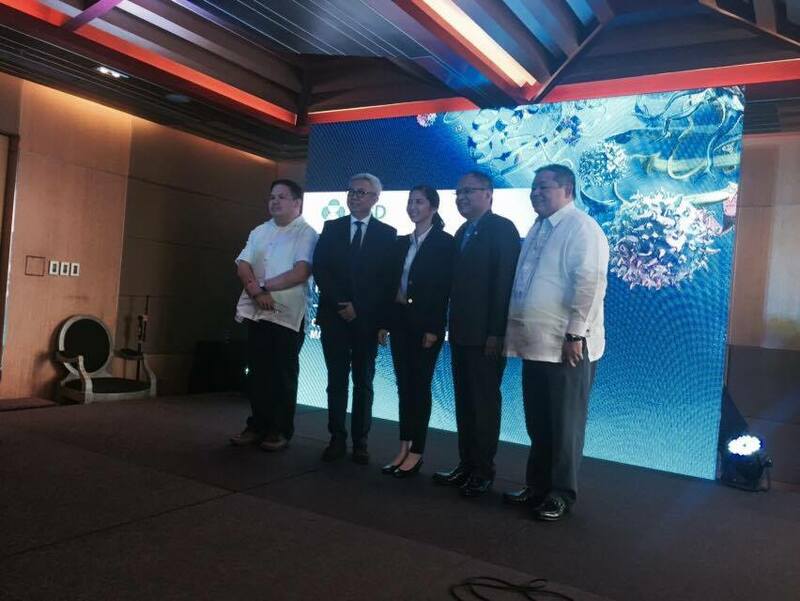 "In the Philippines, the anti PD-L1 immunotherapy drug Pembrolizumab received approval from the Food and Drug Administration (FDA) for the treatment of advanced or metastatic lung cancer and melanoma after failing first-line treatment. 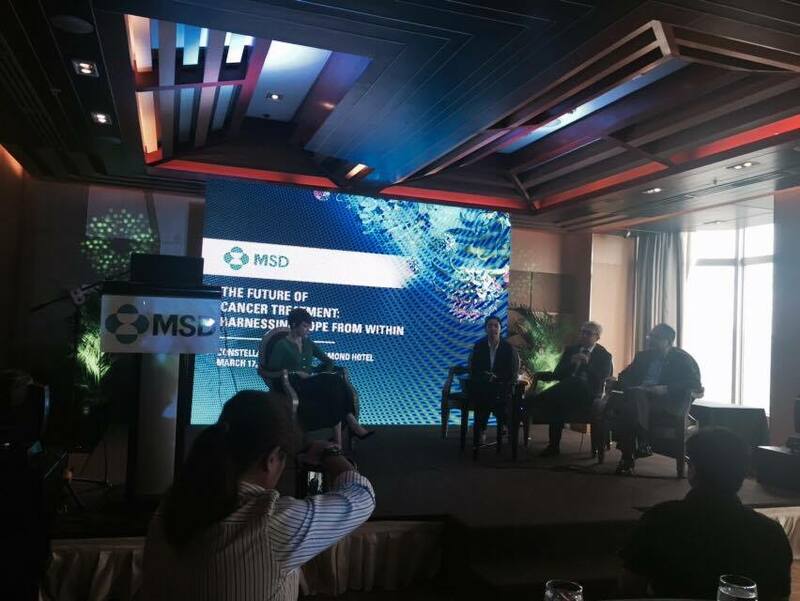 In a media roundtable symposium held last March 17, Dr. Gerardo Cornelio, Cancer Insitute Head of St. Luke's Medical Center Global City shared that Pembrolizumab has the potential to become an integral part of cancer treatment. It has and will be tested across a broad spectrum of cancers." And with the introduction of this new drug treatment, patients need not worry too much when doctors say that they have cancer because there are nor prevention and treatment options that has favorable results and doesn't act as a death sentence for patients. With immunotherapy, lung cancer patients in the Philippines or those with melanomas can relax as this breakthrough in cancer treatment gives them new confidence to beat the disease.